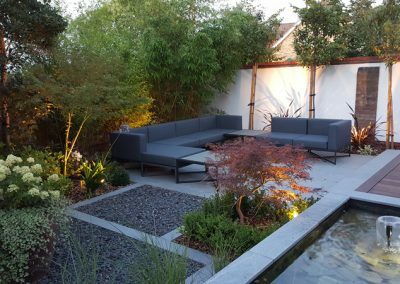 For this modern house in Kings Hill, West Malling we suggested to the clients that a contemporary courtyard garden would work well. 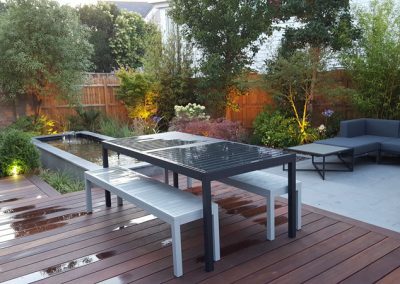 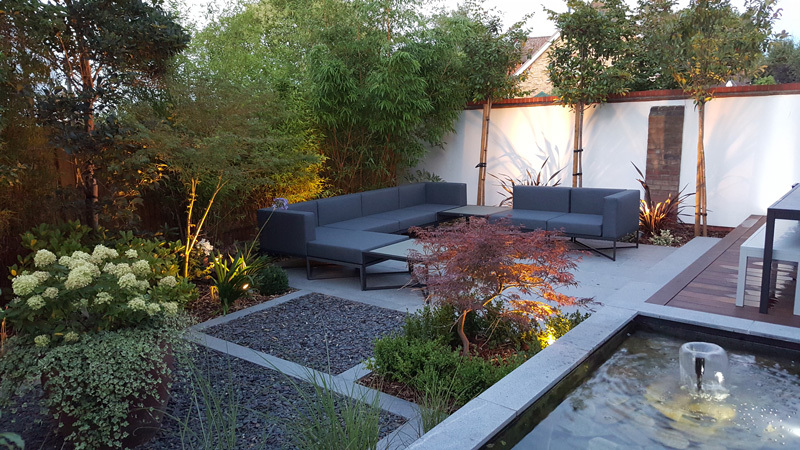 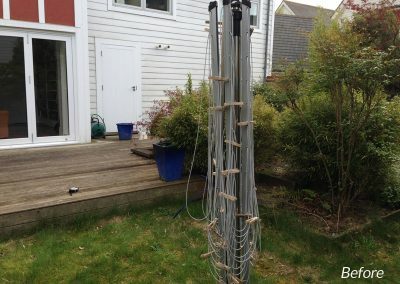 Due to the gardens small size the client was happy not to have any grass and to run with our idea of creating a space which incorporated a good balance between natural stone, hardwood, water and slate. 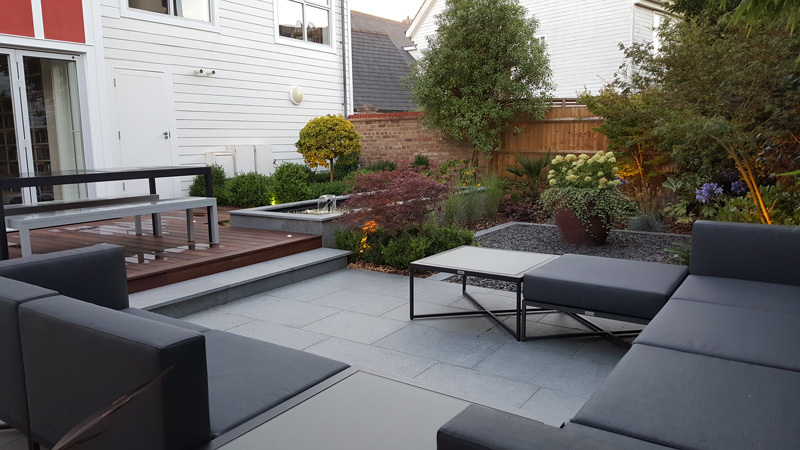 We created a split level entertaining area which included an upper deck for dining and lower granite paved terrace for the new ‘L’ shaped sofa/table. 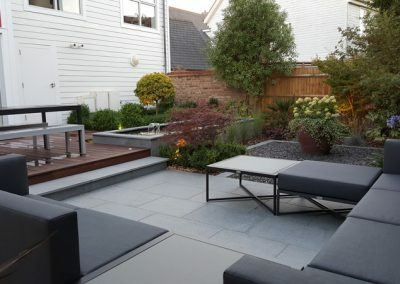 Granite planks formed the edge to the adjoining natural rustic slate area. 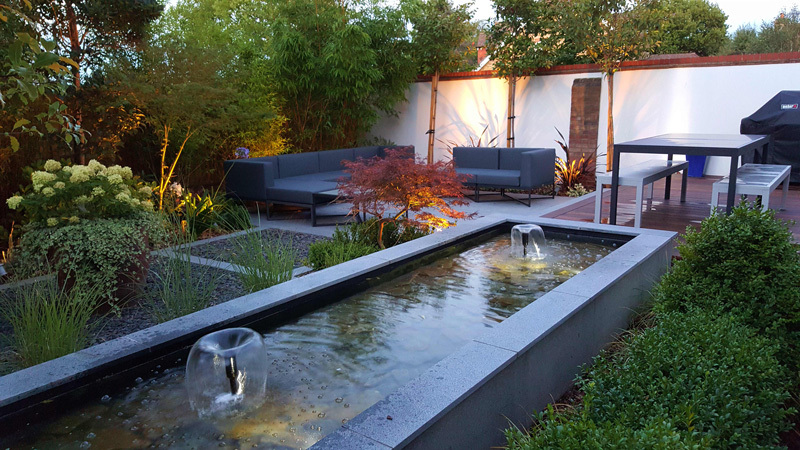 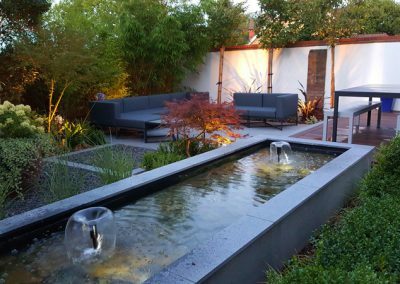 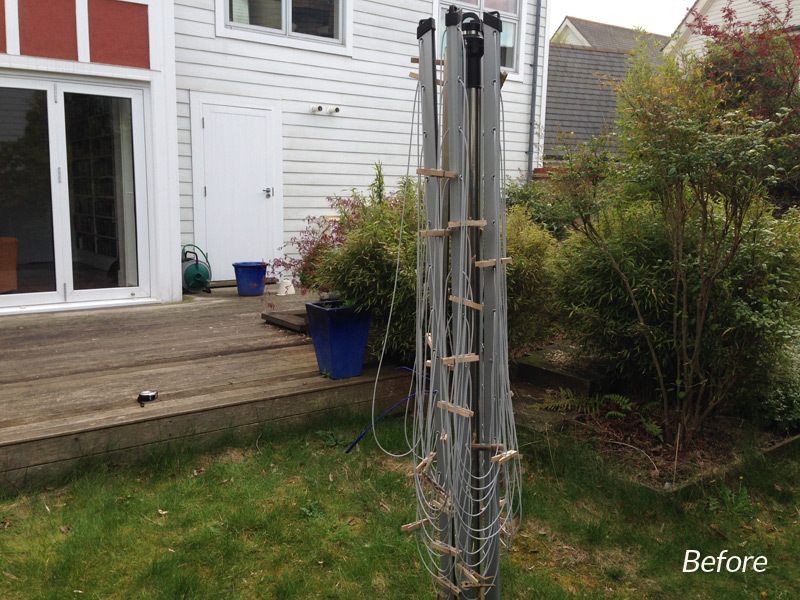 A raised granite water feature was designed and implemented in order to create further interest through the sound, reflexion and movement of water. 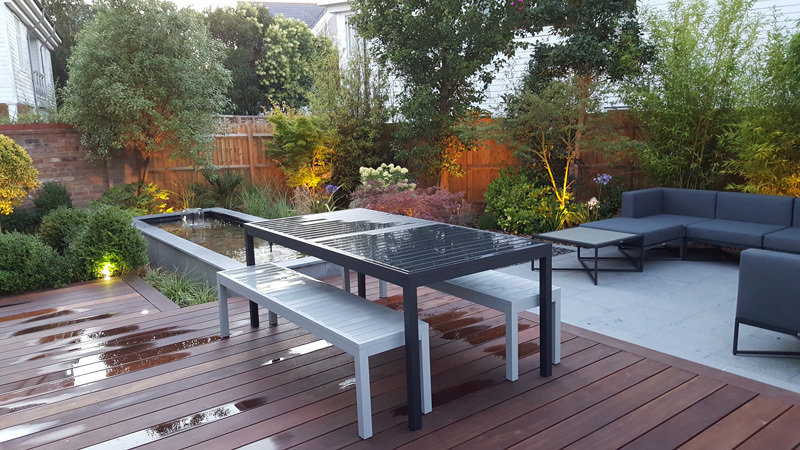 This scheme was planted and up-lit in a bold architectural style.